Lock in a great price for Peppers Blue on Blue – rated 8.7 by recent guests! Easy to get to. Lovely staff at reception. The view was nice of the marina. Beds were comfy, slept like a log. Aircon was cold like it should be. Room was clean and quite nice. Pretty good view from room and balcony out to sea. Lagoon pool is fantastic, especially how it curves around to look over the anchored boats at one end. 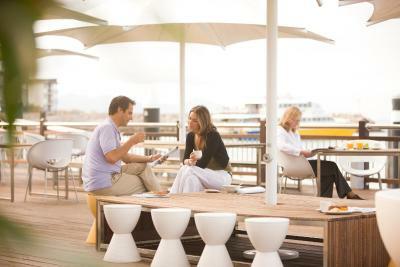 Great location, just next to the Ferry Terminal. Great big pool. Location is great! Our apartment was big and clean. Pool is amazing and the staff are lovely! Breakfast was pretty good. Enjoyed the bircher muesli and cooked food. The variety of cooked food for breakfast was average though, yet adequate and tasty. 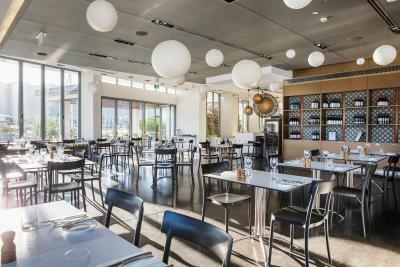 Clean dining area with nice views. The parts we saw of the motel were clean and tidy. Ongoing work on the gardens was good to see. 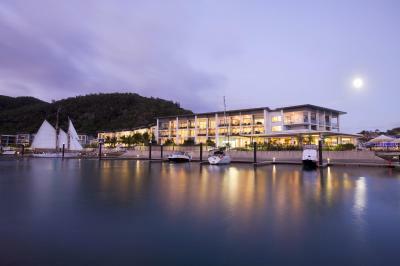 Fantastic staff, great location, would happily return again. Delicious Buffet Breakfast. 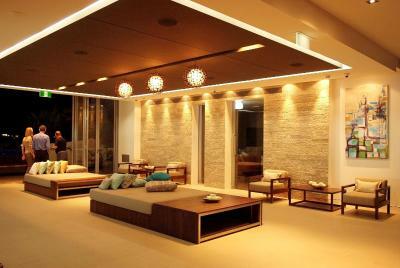 Lovley room. Friendly staff. Top spot!!!! Family room was very pleasant. Breakfast buffet options fantastic. Staff polite and helpful. Room was great size and facilities were excellent as were the staff. Peppers Blue on Blue This rating is a reflection of how the property compares to the industry standard when it comes to price, facilities and services available. It's based on a self-evaluation by the property. Use this rating to help choose your stay! 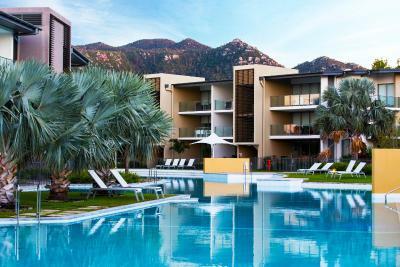 Peppers Blue on Blue is set in tropical surrounds on Queensland’s magical Magnetic Island. 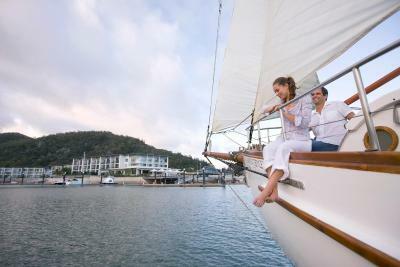 Offering beautiful marina and mountain views, it is a 25-minute ferry ride from Townsville. 500MB of free WiFi and free movie hire are included. 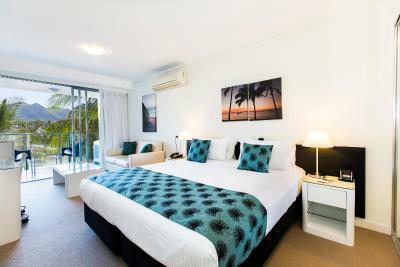 Blue on Blue has a variety of rooms, including resort-style suites and 1, 2 and 3-bedroom apartments. 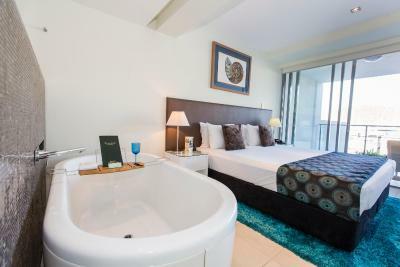 Each room is equipped with an private bathroom, private balcony and flat-screen TV. 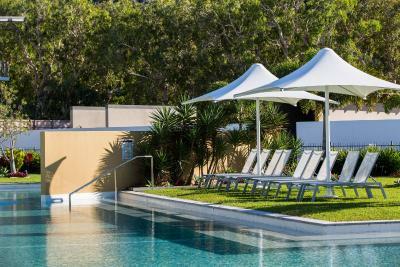 Peppers Blue on Blue features a large outdoor swimming pool and a day spa offering an extensive menu of treatments. 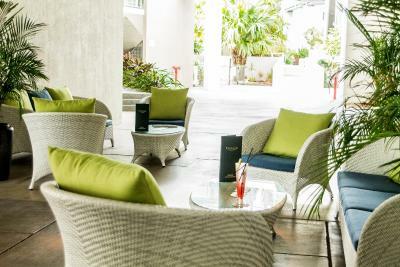 Boardwalk Restaurant serves a fresh tropical menu and the bar offers water views. 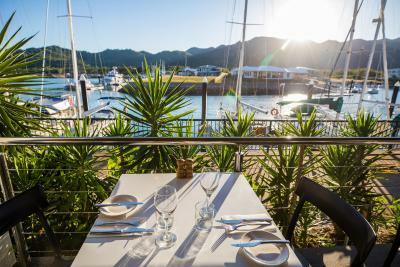 Located a leisurely stroll from the Magnetic Island ferry terminal, Peppers Blue on Blue is within easy reach of Magnetic Island’s national parks, tropical beaches and bays. 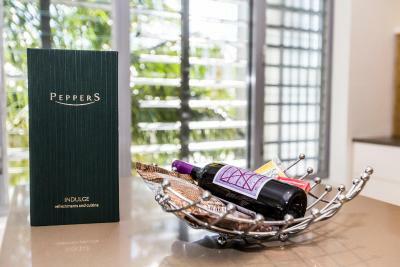 When would you like to stay at Peppers Blue on Blue? 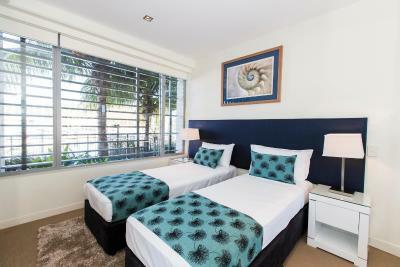 These hotel rooms have an ensuite with a large shower, air-conditioned, offer a full mini-bar, large flat-screen TV and private balcony. 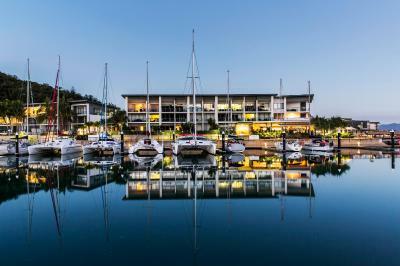 Please note that these rooms do not have marina views and overlook the Ferry Terminal, IGA Shopping Center and Marina Car Park precinct. 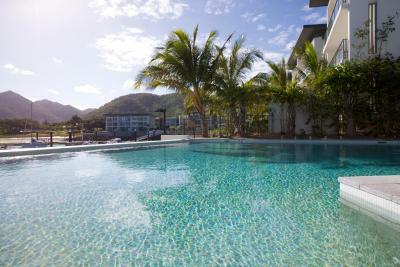 Apartment is spacious and conveniently located close to the gorgeous lagoon pool. 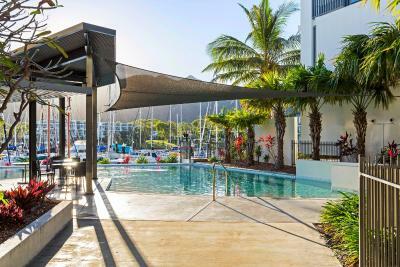 It features modern conveniences such as a gourmet kitchen including full size fridge, laundry facilities, open plan lounge and dining and balcony. 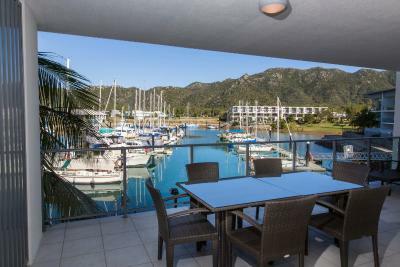 Spoiled with views of both the magical Blue on Blue marina and sparkling swimming pool, these apartments are appointed with large flat screen TV's and a beautiful ensuite with a free standing bath. 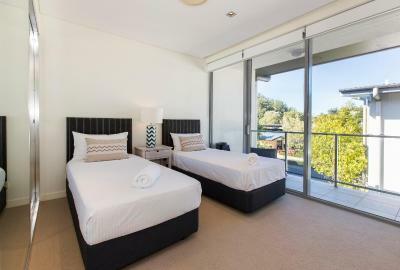 Spacious open plan studio rooms feature a kitchenette, laundry facilities and dining suite perfect for a weekend escape. 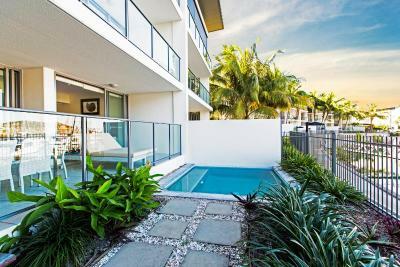 Featuring modern conveniences, a large flat screen TV, DVD player, long deep bath and private balcony. 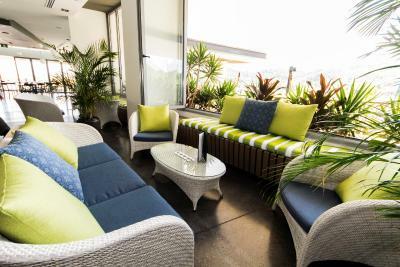 These modern air-conditioned rooms feature a private balcony with views of the spectacular Blue on Blue marina. 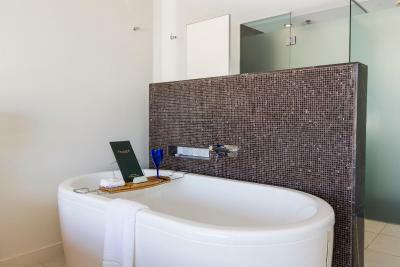 They also include a full mini-bar, large flat-screen TV and an en suite with a spacious shower. Please note that your room will not be serviced during your stay. 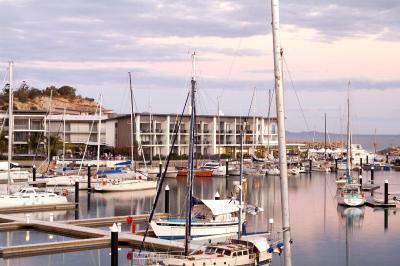 Offering lovely marina views, this air-conditioned room features a private balcony, mini-bar and large flat-screen TV. 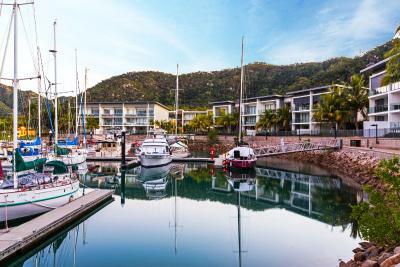 Featuring views of the marina, this spacious open-plan studio has a kitchenette, laundry facilities, dining suite, deep bath and a private balcony. It also has a flat-screen TV and DVD player. 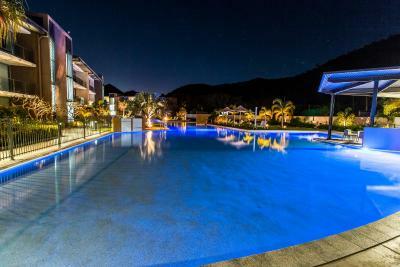 Spacious and conveniently located close to the gorgeous lagoon pool. 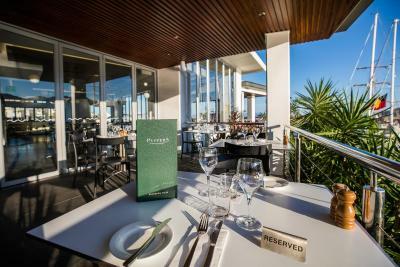 It features modern conveniences such as a gourmet kitchen including full size fridge, laundry facilities, open plan lounge and dining and balcony. 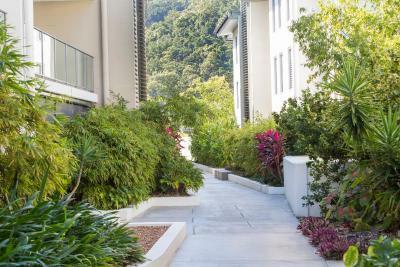 With the added space of a separate lounge room and bedroom, this self contained apartment offers a queen bed, kitchenette, laundry facilities and private balcony. 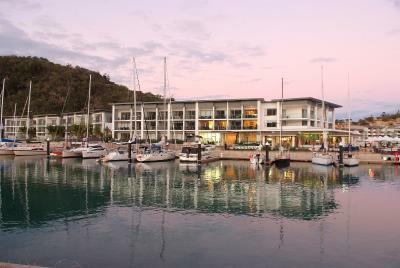 This apartment features its own plunge pool and a spacious balcony overlooking the stunning marina. 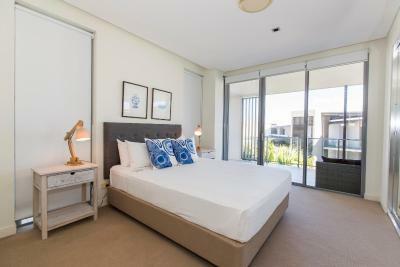 These apartments are stylishly appointed and provide private accommodations with 3 large bedrooms, 2 bathrooms, a gourmet kitchen and a large open plan living and dining area. House Rules Peppers Blue on Blue takes special requests – add in the next step! A AUD200 damage deposit is required on arrival (around USD140.73). This deposit will be fully refunded 14 days after check-out, as long as there isn't any damage to the property. Peppers Blue on Blue accepts these cards and reserves the right to temporarily hold an amount prior to arrival. Please note that due to the damage resulting from Cyclone Debbie, there will be internal repairs and roof works until 10 July 2018. During this time, accommodations blocks with scaffolding in place will be closed. Please note that your accommodations will not be serviced for the duration of your stay. A damage deposit of AUD 200 is required on arrival. That's about 140.73USD. This will be collected by credit card. You should be reimbursed within 14 days of check-out. Your deposit will be refunded in full by credit card, subject to an inspection of the property. 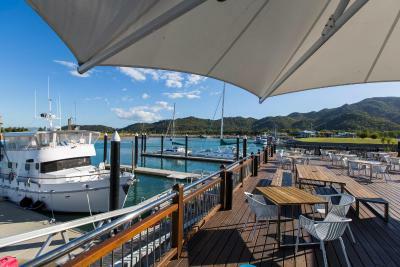 Excellent location, just steps from the ferry. 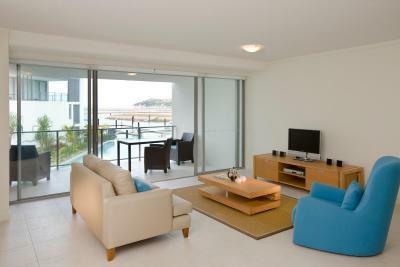 Large studio room with sitting area, kitchenette and full size bath tub. 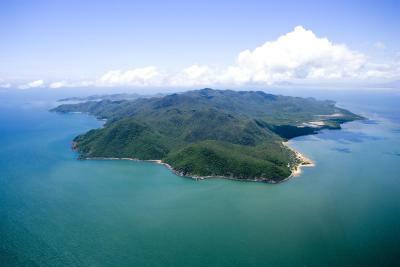 Easy access to buses, hire cars and ferry. 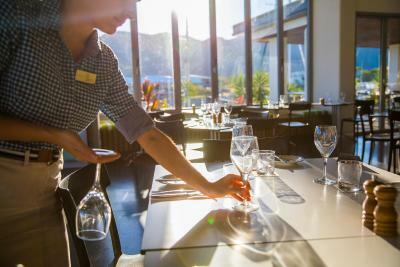 Customer service at the restaurant is poor and the dinner was average. 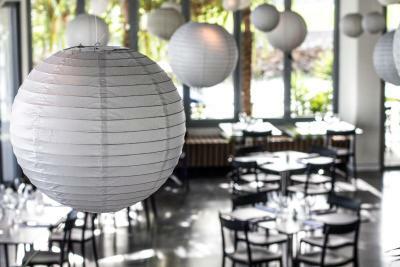 It’s a shame as the venue would be near perfect with a better restaurant. Also the floor in our room was never vacuumed, swept or mopped in the entire week we were there. The windows in the bedrooms were full of bugs and with no fly screens we were eaten by mozzies or had to have the aircon on which we didn’t want to do due to the beautiful weathers. 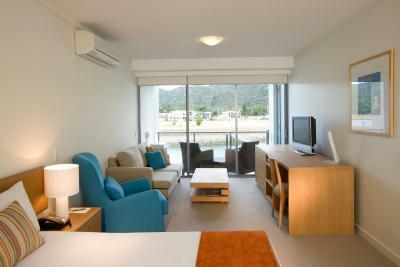 The accomodation was extremely comfortable and view of the Marina and mountains just lovely. Staff were very helpful and transport around the Island very easy. Wonderful place to stay. 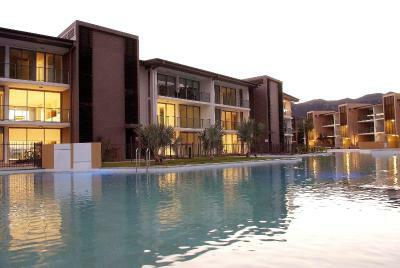 Size of the apartment, the view of the marina, splash pool. Seafood in the restaurant was not that fresh or good quality for the price. Shower head needs either cleaning or replacing, but this is a minor thing. Outstanding customer service. 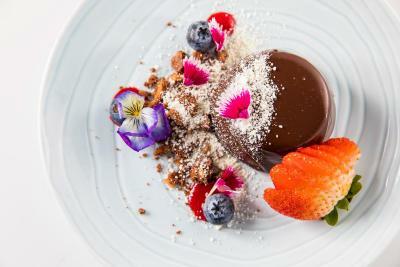 Although slightly more expensive, it is well worth it. We had a lovely two bed apartment. The cleaners were friendly but the reception staff too busy chatting or on computer to acknowledge us when we came in and out. Beds were not overly comfortable for a longer stay. 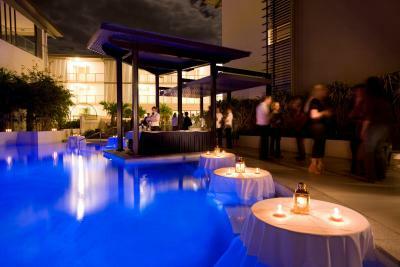 Fantastic pool, great location lovely restaurant. Room was tired. It was supposed to have a king bed in one room and two twins in the other instead we had a queen and two twins. The twin room had no ac so we had to leave the ac in the apt on and the bedroom doors open to keep the kids room cool. Not great for parents hoping to get and keep kids asleep. The lovely pool was surrounded by a painted plywood wall, very construction site without construction The pool needs some considerable upkeep. Oh yes and there was NO RECYCLING! We have been versed on the positive outcomes of this since the eighties! Seriously plastic straws are great but try a little harder especially in such a fragile and gorgeous spot! In the past 5 years each time we have stayed at a peppers property we have found the same reoccurring issues with remote controls, lamps and air conditioners not working. In fact this time there was no remote for the master bedroom tv, none of the lamps worked in the apartment and 2 of the 3 air conditioners didn't work properly. I know these seem like small insignificant issues but it does actually end up affecting your experience at the property. 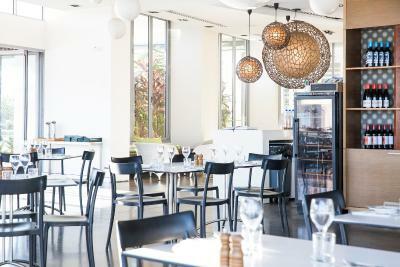 The great service from reception from the moment we checked in till we left was friendly, efficient and helpful. We asked for a cot and it was all set up when we got to check into our room an hour early. 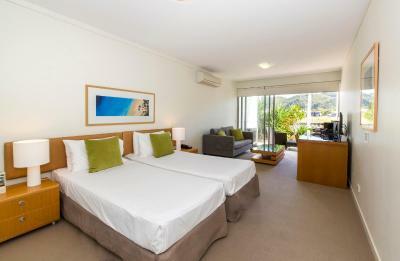 The rooms were clean, spacious and had fabulous views. 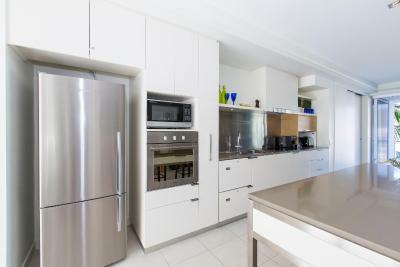 We love the fact you can cook in the rooms and the IGA is so close to the property.